The next version of Android — Android Q — might have a system-wide dark mode. The news comes via a Chromium Bug Tracker thread, of all places. Lukasz Zbylut, a project manager at Google, posted a thread stating that all preloaded Android apps will need to support dark mode by May 2019. 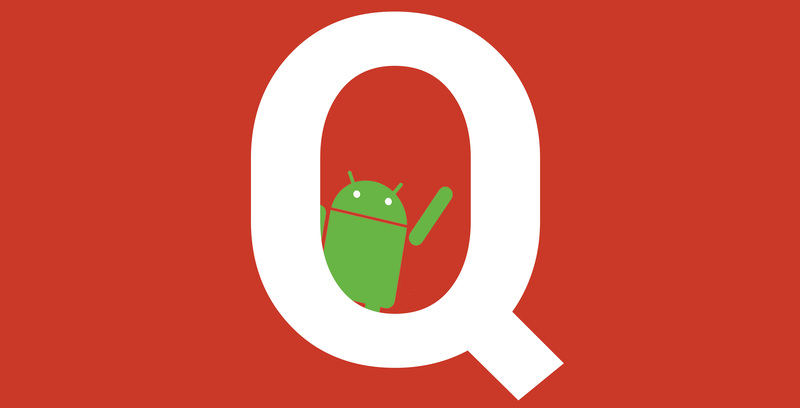 “Dark mode is an approved Q feature,” wrote Zbylut, also pointing out that Android Q will have a system-wide dark mode setting. Zbylut’s thread mentioned two places the feature might be found: a dark mode menu in the ‘Settings’ app or as a different ‘NightMode’ option in the ‘Display’ settings submenu. Finally, Zbylut said that dark mode would only apply to app elements like the omnibox, overflow menu and tab switcher. He wrote that modifying Chrome content — in other words, darkening webpages — isn’t part of this project, but could be a future endeavour. 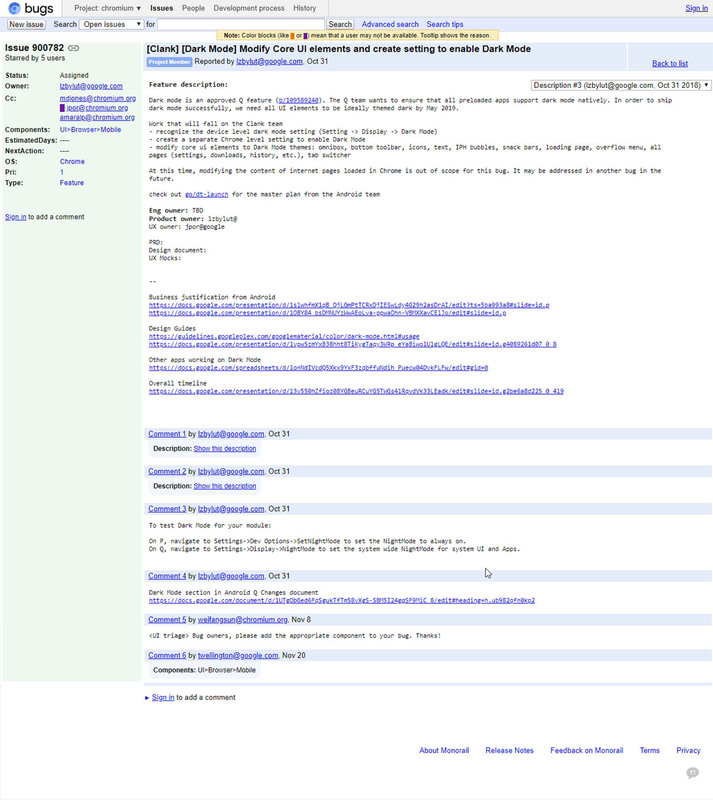 Along with Zbylut’s comments, the post contained several links to internal Google documents that non-Googlers, unfortunately, can’t access. Additionally, Google changed the thread’s permissions after an initial Android Police report broke the news, rendering the thread inaccessible to anyone who doesn’t work for Google. Thankfully, Android Police acquired a screengrab of the thread (above) before Google locked everyone out, so you can read Zbylut’s comments for yourself. If nothing else, Google’s secrecy adds credibility to the plan to include dark mode in Android Q.
It’s been a long time coming and gives me yet another reason to look forward to the next major Android version release.